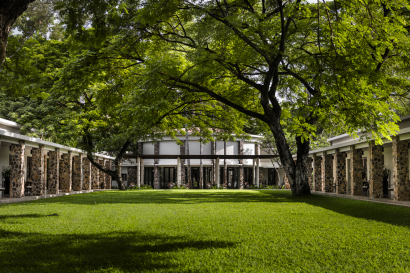 Once known as Villa Princière or Villa Apsara, this former royal retreat was built by French architect, Laurent Mondet, in 1962 for King Sihanouk to accommodate visitors unable to stay at the royal residence nearby. Quintessentially ’60s in character, it featured cool, low-slung chalets spaced around an irregular-shaped swimming pool and a shady lawn. 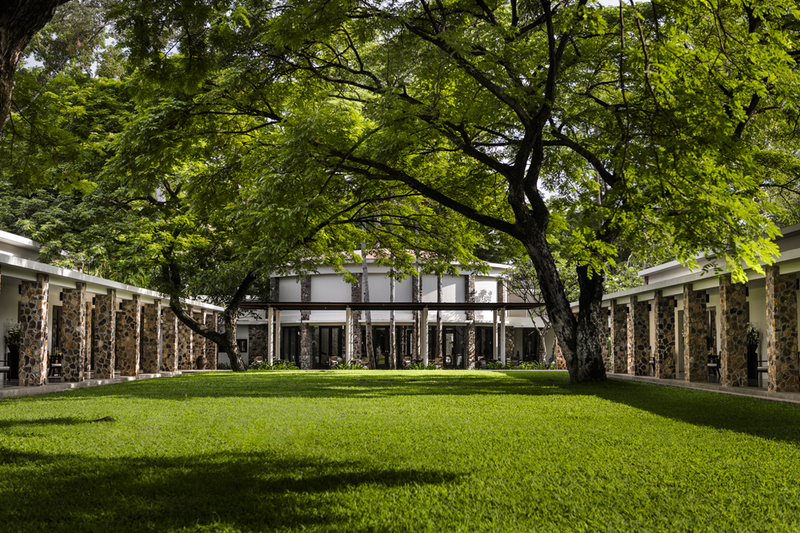 In 1965, Prince Sihanouk handed over Villa Princière to the Ministry of Tourism and it was turned into an exclusive, four-suite hotel. 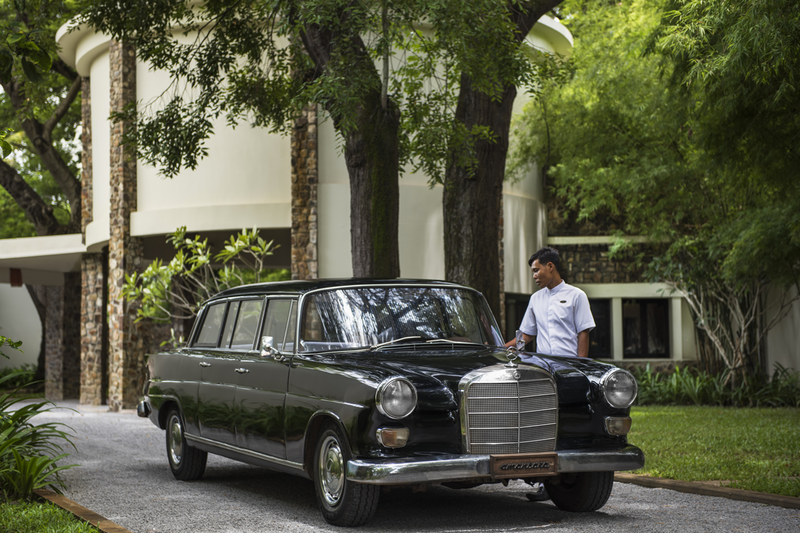 With the advent of the Khmer Rouge in 1975, the villa was officially closed as a hotel, although it continued to serve as a state guesthouse. 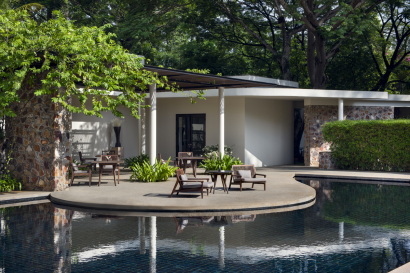 Occupied by the military during the 1980s, it was later converted to a 12-suite layout and reopened as Villa Apsara in 1992. Amanresorts acquired the property in 2002 and meticulously reconstructed it drawing on old photographs and Amansara opened in December 2002. In 2006, 12 new pool suites, a lap pool a spa were added. 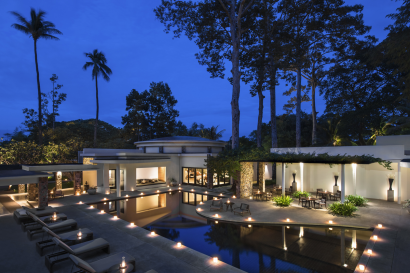 • Amansara was the guest villa of king Norodom Sihanouk. 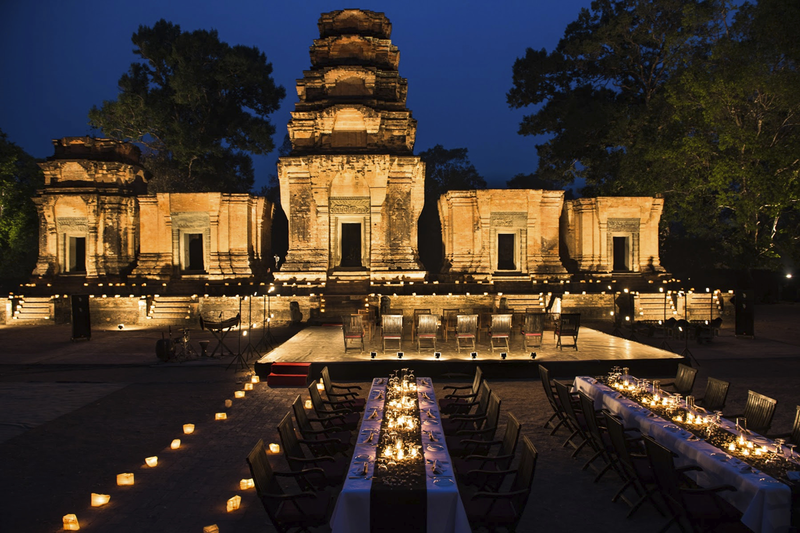 • Private and exclusive property in center of town and close to UNESCO world heritage site Angkor Wat. • Bespoke tour itineraries with private local guide, vehicle and driver included in the board and touring charges. 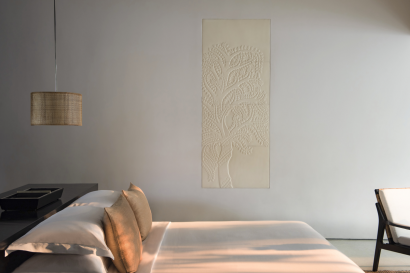 Situated in Siem Reap, the cultural capital of Cambodia, Amansara is 10 minutes from the entrance to UNESCO World Heritage Site Angkor Wat & 20 minutes from Tonle Sap, a UNESCO Biosphere Reserve is Southeast Asia’s largest freshwater lake. 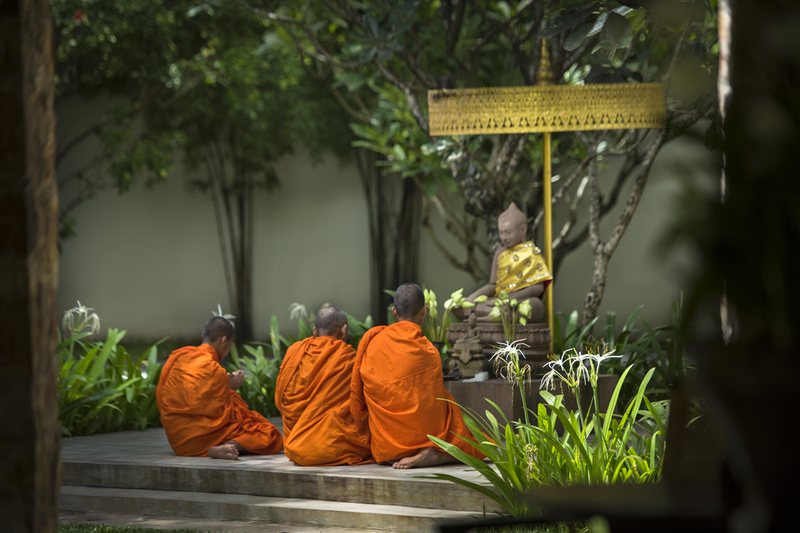 A variety of temple tours and cultural walks are available as part of the guest experience. Conducted early morning and late afternoon to avoid the sun and crowds, these outings focus on the temples surrounding Angkor Wat with a private english speaking guide, vehicle & driver. Dignitaries like former French President Charles de Gaulle, Jacqueline Kennedy, former Yugoslavian President Josep Broz Tito and actor Peter O’Toole (who stayed here while filming Lord Jim) graced this architectural gem in its heyday as Villa Princiere. Offers Children Friendly tours and activities such as Elephant Ride, Bullock cart riding, Art Classes, cycling and chidren’s cooking class. 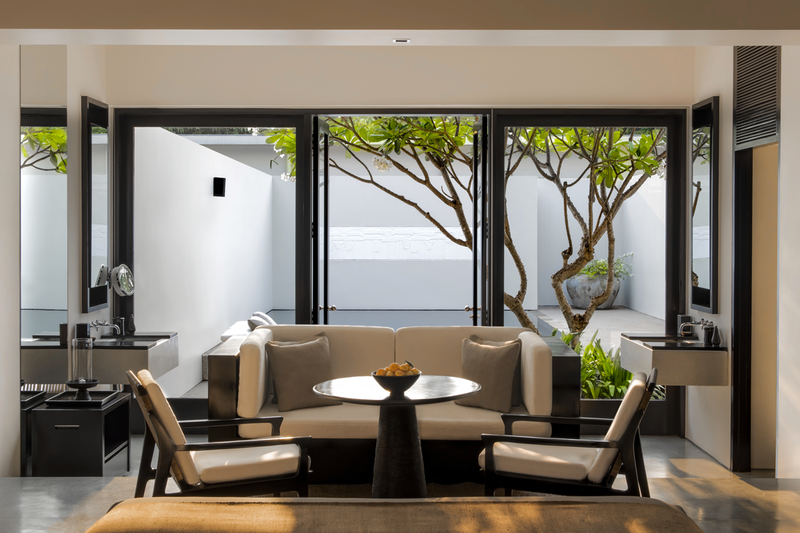 Amansara has 24 suites, similar in design. 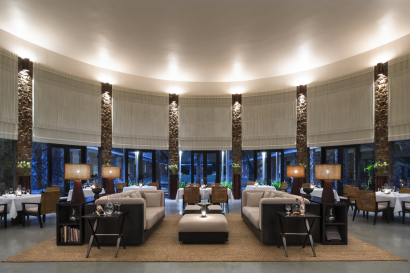 Each enjoys an open-plan setting with finishes in terrazzo and timber, as well as outdoor courtyards. Each of the contemporary Suites finished in pale terrazzo and timber offers a combined sleeping and living area and an island bathtub. The Courtyard Suites flow from a combined sleeping and living area down to an open-plan bathing area, and out through floor-to-ceiling windows to a private garden courtyard with outdoor seating. Offering a private plunge pool (6m x 5m) and outdoor seating in a private garden courtyard, the Pool Suites offer seamless open-plan living with an elegant bedroom flowing into a living area and light-filled bathroom. The Roof Terrace offers a seasonal venue for early or late evening drinks and private dinners. It is also an ideal place for yoga or quiet contemplation, especially at sunrise. 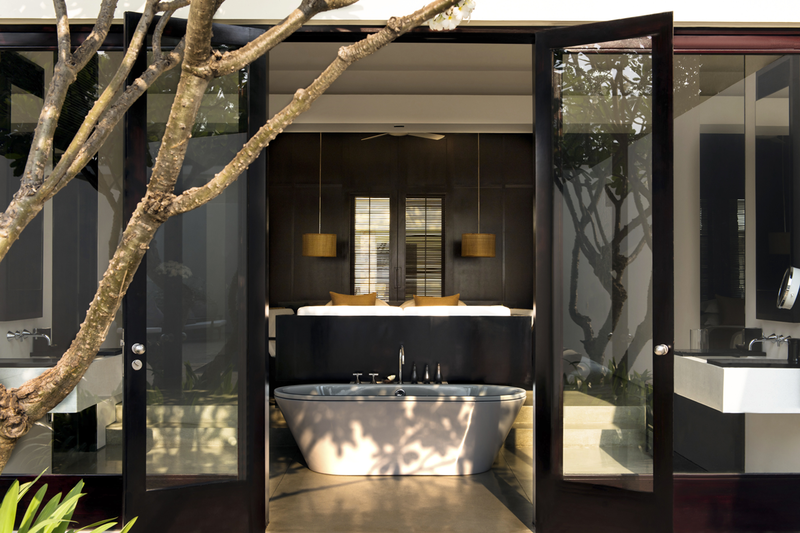 Four treatment rooms, each with an attached relaxation area and private steam bath and shower, are available to provide guests with a range of massage and beauty treatments using Cambodian techniques and Aman’s own natural spa product range. 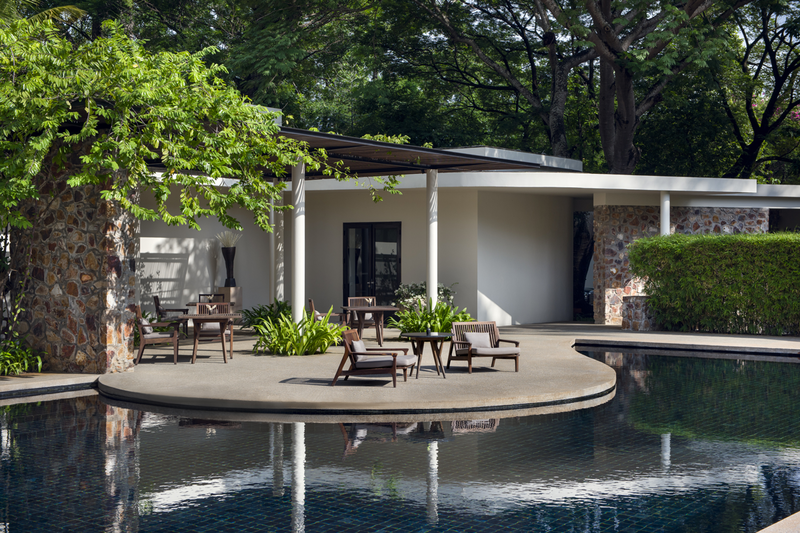 All the treatment and relaxation rooms at our luxury resort spa in Cambodia look out onto a reflection pond that is set against a 43-metre sandstone relief. 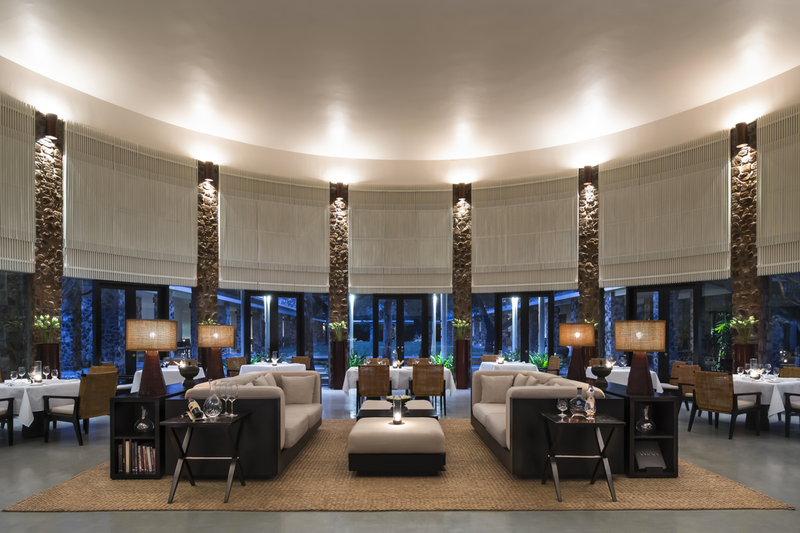 The reception area overlooks a garden featuring an ancient rain tree. Adjacent to Amansara’s Dining Room is the resort’s main swimming pool, a 17-metre curved pool overlooked by a cushioned alcove and sun loungers. 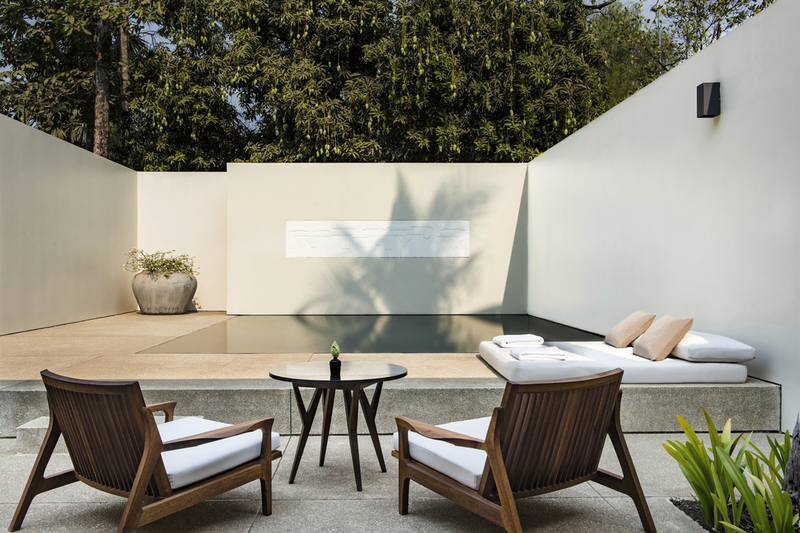 At the other end of the lawn between the Pool Suites lies a 25-by-five-metre lap pool, hidden behind a six-metre-high wall. Eplore the nearby Tonle Sap lake, in a private custom made boat visiting the floating and stilted villages of Chong Khneas and Kampong Phluck. 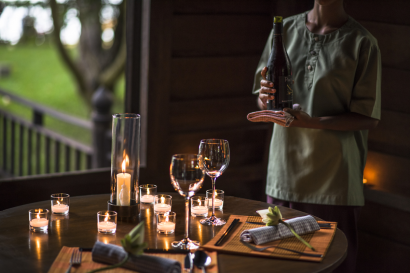 Brunch and Sunset Cruises can be arranged between villages as well as Kayaking and Bird Watching in Prek Toal Bird core reserve.